Description: A client commissions Lara McClintoch to buy an Eighth Century T’ang dynasty Chinese silver box, which contains a formula for immortality. Before Lara can outbid a Toronto museum curator, the box is stolen from a Beijing auction house. Lara follows a dangerous trail through the back alleys of modern China to find the box and the thief. Despite its promise of life forever, the ancient box keeps getting people killed. Lara fears she will be next unless she can uncover the secret behind the heist. 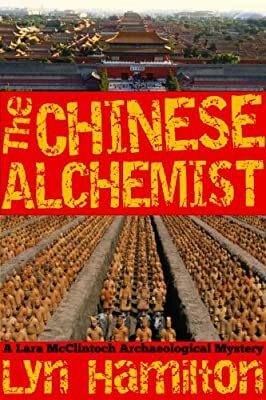 The Chinese adventure is the last in this acclaimed archeological mystery series. “…longtime series fans will enjoy seeing McClintoch inaction in China."